We hold expertise in offering Brick Making Machines, which is elegantly designed in conformation with industry norms and standards. The bricks produced by these machines have tight texture, accurate size & shape and high strength. Our range of Brick Making Machines is also known for its excellent efficiency, low maintenance and high productivity. In addition, we can also do the customization of these machines as per the client''s specifications. 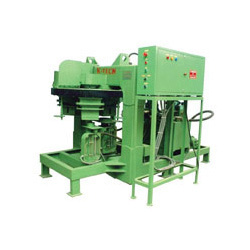 We provide Fly Ash Brick Making Machines, which are used to manufacture different sizes of bricks from fly ash. Our team of professionals adequately design these machines as per the international standards. These machines also hold the capability to produce a capacity of about 1200-1300 Bricks/Hour with a total power of 10HP or 15HP. Our range of Fly Ash Brick Making Machines is also intended with rotary table, three stationed PLC controlled, hydraulic, automatic and withstand loads of about 30 Tons. Looking for Brick Making Machines ?